If you're on the lookout for a casual yet stylish ensemble, dress in a John W. Nordstrom mason wool cashmere overcoat and blue skinny jeans. Both garments are totally comfortable and will look great paired together. When it comes to shoes, this getup is round off brilliantly with tan leather loafers. 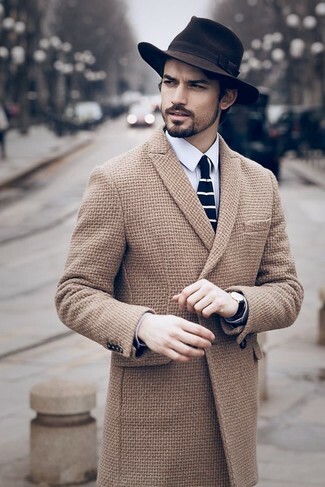 Try teaming a John W. Nordstrom mason wool cashmere overcoat with a light blue suit for a classic and refined silhouette. 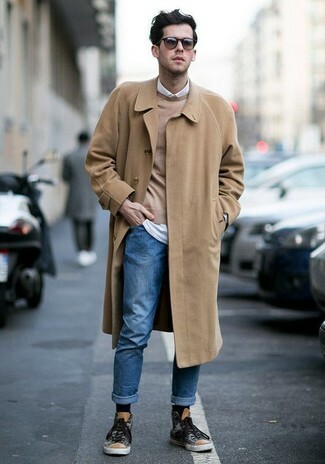 Grab a pair of brown leather brogues to make the look current. This combination of a John W. Nordstrom Mason Wool Cashmere Overcoat and blue jeans is very easy to put together without a second thought, helping you look amazing and ready for anything without spending a ton of time digging through your closet. For something more on the daring side to finish off this outfit, choose a pair of charcoal print canvas high top sneakers. 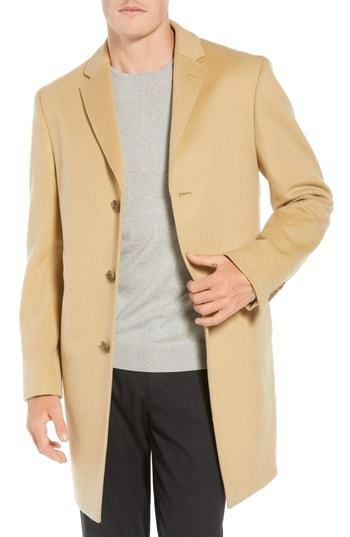 Make a John W. Nordstrom mason wool cashmere overcoat from Nordstrom and a white dress shirt your outfit choice for a classic and refined silhouette. 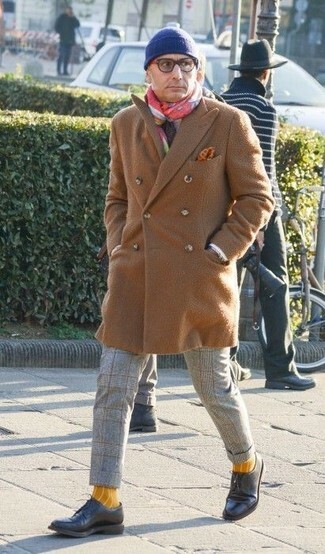 As you can see, being a dapper dude doesn't take that much time. 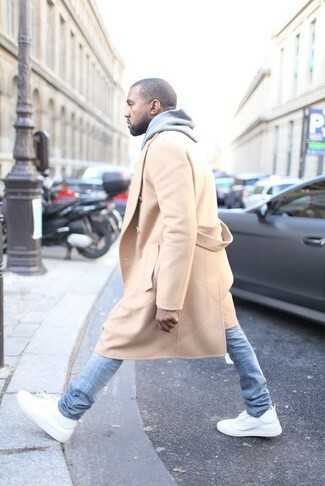 Just consider teaming a camel overcoat with black jeans and you'll look amazing. 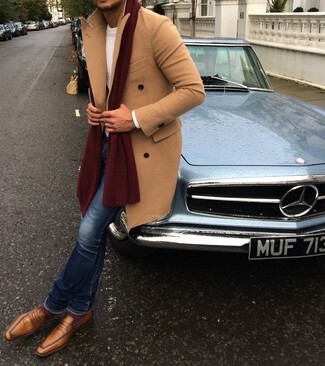 Bump up the cool of your ensemble by completing it with brown suede chelsea boots. 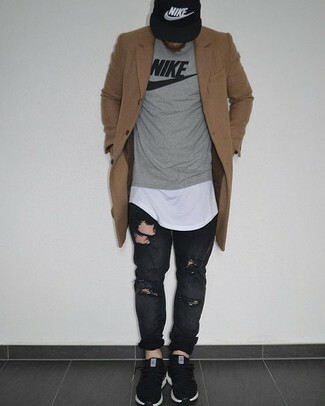 If you're on a mission for a casual yet dapper look, team a John W. Nordstrom mason wool cashmere overcoat with black ripped jeans. Both items are totally comfortable and will look great paired together. If you don't want to go all out formal, go for a pair of black athletic shoes. Go for a classic style in a John W. Nordstrom mason wool cashmere overcoat and grey check wool dress pants. 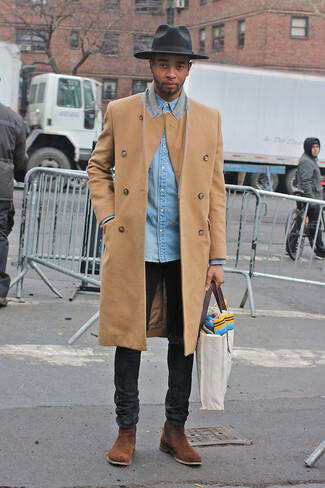 For something more on the daring side to round off this outfit, opt for a pair of black leather derby shoes. If you don't like trying-too-hard combinations, try pairing a John W. Nordstrom mason wool cashmere overcoat with light blue skinny jeans. Choose a pair of white leather high top sneakers to make the outfit current. Pair a John W. Nordstrom mason wool cashmere overcoat with grey wool dress pants for a classic and refined silhouette.